Please put in a good work for me on the Blue Room!! The Great Roof Rack Raffle! 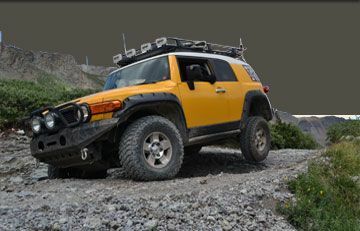 Crown King via Lake Pleasant...who's done it with an FJ? FJC Magazine V2 released today! [ Poll ] Locals prefer Manual or Auto? The most logins I've seen. Tibaal89 you need to figure this mod out! My bud's new Jeep JK already broke down!!! Off road wheelchair for Disabled Explorers?